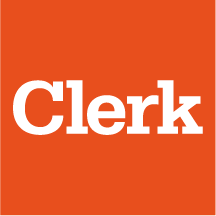 In Clerk, all your data, reports and your client’s personal information is protected by the safest web security technology. Our services related to security are powered by worldwide recognized and trustable companies to guarantee your business security. Clerk works with the following systems to guarantee your info is safe. Amazon Web Services: As a cloud computing system, Clerk needs a huge storage capacity to backup all the information from hotels using Clerk around the world. Clerk works with Amazon Elastic Compute Cloud (EC2), a service which storage information only in Amazon’s proven network datacenters. In that way, Clerk prevents every possible threat by controlling cloud environment 24/7. RapidSSL: Clerk uses RapidSSL to protect data communication between online servers. When a site has a SSL certificate, your browser will detect it to analize if its secure and valid. So, if you’re entering into a dangerous site, a warning message will alert you to not continue. Stripe: This service let us receive and concrete our monthly online transactions with our customers in the safest way. All data is encrypted by Stripe and sent safer. Remember that Clerk can not access to your credit card information. Google App Engine: Clerk is constantly updating its features and also creating new ones. Our creation process is powered by Google App Engine, which is a great lab arena for us. But, the most important thing, is that Google technology allows us to provide to developers all the tools to make their own Clerk apps. If you have any suggestion, problem or idea, please contact us through our "Help and Support" page. We’ll be happy to know about you!